MOSCOW, April 13. /TASS/. Moscow closely follows the situation with US plans to deploy temporarily its Terminal High Altitude Area Defense (THAAD) weapon system to Romania, Russian Deputy Foreign Minister Alexander Grushko told reporters on Saturday on the sidelines of the 27th Assembly of the Council on Foreign and Defense Policy. "We are closely following this. There is a Russian saying ‘Nothing is more permanent than a temporary fix’," he said. "There are questions: what reasons are for THAAD deployment as it is and what modernization of facilities in Romania involves." "Until now, we have been told at any political level that the antimissiles, which are being deployed at a facility in Romania, are meant solely to counteract the missile threats coming from outside the Euro Atlantic region and that, according to their physical characteristics, they have no capabilities to intercept strategic weapons operated by Russia," the diplomat continued. 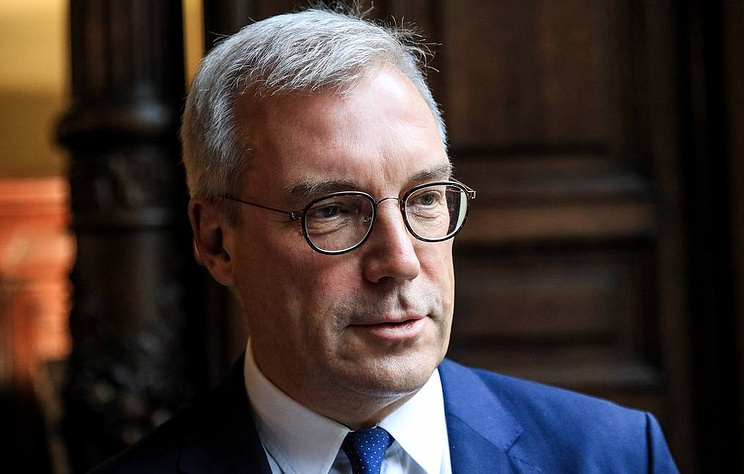 "A question arises what types of work will actually be carried out at facilities in Romania," Grushko said. "Since it is well known that the United States is currently enhancing missile interception technology and many no longer keep it secret that the US antimissile system, including its European segment integrated into NATO, needs to be capable of intercepting missile systems operated by the Russian Federation." "The second question is how long the THAAD system will be deployed to Romania and which functions it will actually fulfil," Grushko emphasized. Earlier, the US European Command (EUCOM) stationed in Germany’s Stuttgart said that the THAAD system would be temporarily deployed to Romania this summer. EUCOM explained that the Terminal High Altitude Area Defense system would be deployed "during a limited period of scheduled maintenance and updates on the Aegis Ashore Missile Defense System in Romania. ".